We're all that and then some! 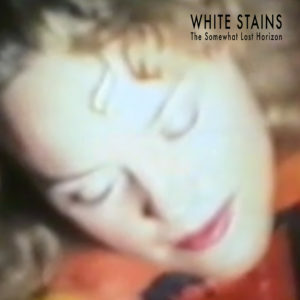 White Stains (1987-1994), with main members Carl Abrahamsson and Thomas Tibert, were a seminal band that have influenced many generations of experimental musicians. Their work together with Throbbing Gristle- and Psychic TV-founder Genesis Breyer P-Orridge (“At Stockholm” 1990 and, as Cotton Ferox, “Wordship” 2004) is usually considered as the finest work by all involved. This particular album, “The Somewhat Lost Horizon”, contains film soundtracks and scores from the late 80s to early 90s, and is a fine example of their creativity and versatility both as composers and producers.